Dan tracks down the elusive Black Cat in the next chapter of Spider-Man's story. It's no secret that Insomniac Games' take on Spider-Man was a phenomenal hit with critics and fans alike. In my review I said it was the best super-hero game to date and that it was the "cumulative result of a rich and beloved franchise being handled by a world-class studio in it's prime". I played the game non-stop at launch and after hitting the 100% mark, felt a horrible gap in my gaming schedule where Spider-Man sat so comfortably for the better part of a month. Needless to say, I was excited to check out 'The Heist' and couldn't wait to jump back into that sweet Spidey spandex (in game only of course...). There's not an awful lot in the way of pay-off, but I have high hopes that Insomniac will maintain the momentum and finish with an exciting climax. 'The Heist' is the first of three chapters in "The City that Never Sleeps" DLC story arc, with the remaining two chapters set to release each month until the end of the year. Due to this, 'The Heist' does feel like it ends a bit abruptly after an interesting build up. It curiously feels like a comic book story arc in this way, which makes me think that was Insomniacs intention. There's not an awful lot in the way of pay-off, but I have high hopes that Insomniac will maintain the momentum and finish with an exciting climax. 'The Heist' is integrated into the main game a bit strangely. You need to select it from the games main menu instead of just loading up your previous save and continuing the adventure there. Thankfully your unlocked suits, powers and equipment all carry over from your existing game, so there's none of that cliched 'you've lost everything and need to learn to punch again' nonsense. once muscle memory kicked in and Spider-Man started darting between foes, I fell back into that fight rhythm that makes the games kinetic combat so satisfying. The game still looks absolutely incredible, even on my now ancient launch PlayStation 4. 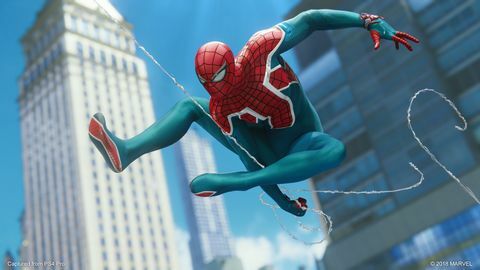 Insomniac has done a superb job of bringing life to the world and characters with stunning facial and movement animations. Swinging is still an absolute blast and the combat is some of my favourite in any game this year. The story in the 'The Heist', opens with Spider-Man taking on a group of thugs in the midst of relieving an art museum of its inventory. This plays out, for the most part, much like any major brawl in the main game, except there's a small twist. You have to fend off attackers, while simultaneously making sure none of the cheeky crims make it out of the museum with its precious art. I must admit, I initially saw the load checkpoint screen a few times before I got back into the (don't you dare say swing) FLOW of things. once muscle memory kicked in and Spider-Man started darting between foes, I fell back into that fight rhythm that makes the games kinetic combat so satisfying. Much like the main game, there are several side activities to tackle along with the story missions. These range from finding stolen paintings across the city to taking part in a handful of Screwball challenges. I found Screwball to be an immensely annoying side character in the main game, so wasn't too thrilled to see her back for the new DLC. Thankfully the challenges she has you partaking in are an enjoyable distraction between missions. These challenges take a similar shape to those provided by Taskmaster last time around. There are EMP challenge missions that have you making your way to each EMP device in a particular order in an effort to disable them before the clock runs out. Screwball also has Spider-Man fighting waves of enemies with the focus on dispatching them in designated areas for extra "OMG" (this is why I dislike Screwball) points. For fashion-forward Spider-Man fans, there are three snazzy new suits to unlock. I tried the new suits out briefly but quickly went back to my tried and true Spider-Punk costume. Erica Lindbeck voices Black Cat and does a wonderful job of bringing the character to life with her perfect mix of coy deception and emotional manipulation. During the main game, we tracked down several of Black Cat's stake out areas, but never got to see the elusive thief during the adventure. This time around, Black Cat is at front and centre of the story. Insomniac's twist on her relationship with Peter was perfectly executed and provided some wonderfully human moments in the story. You get a bit of everything with the new batch of missions. Players will step back into the role of MJ for another stealth Mission. This mission felt a bit tacked on to me and stalled the flow of the DLC a little. Other missions involve a couple of chase sequences and a handful of stealth missions. It's largely more of what we experienced in the main game, so your enjoyment will come down to how much you enjoyed that. If you weren't a fan initially, 'The Heist' isn't going to change your mind at all. 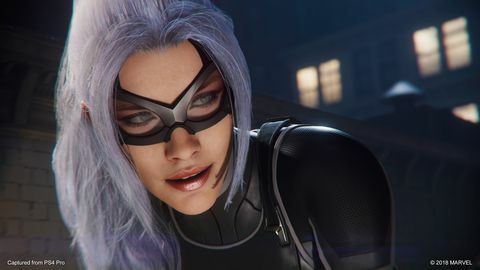 In one mission, Black Cat joins Spidey for an extended stealth section in which players can command her to join him in silently taking down a pair of enemies. 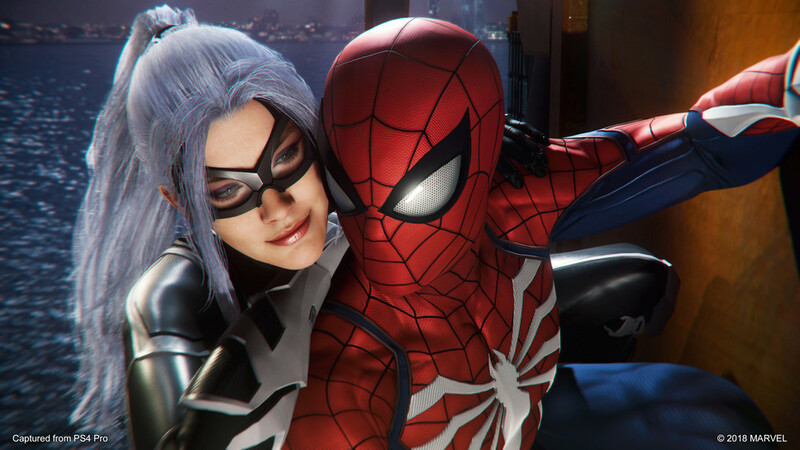 While it was fun to see Black Cat zipping around the levels, performing tandem takedowns with Spider-Man, her addition feels largely like an extra move for Spider-Man rather than adding much in the way of a meaningful twist on the established formula. Her cutscene interactions with Spider-Man are the real star of the show. Erica Lindbeck voices Black Cat and does a wonderful job of bringing the character to life with her perfect mix of coy deception and emotional manipulation. The extended story is only a third of the way through, so it doesn't feel quite like a complete experience just yet. I'll definitely be reserving some precious hard-drive space for the next two chapters to see how this arc ends. 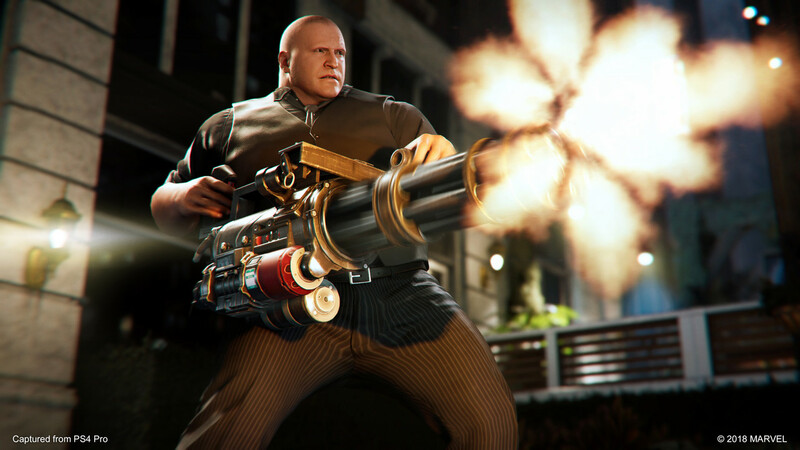 If you're a fan of Spider-Man's particular combat and systems and want more, 'The Heist' is an absolute must-play. 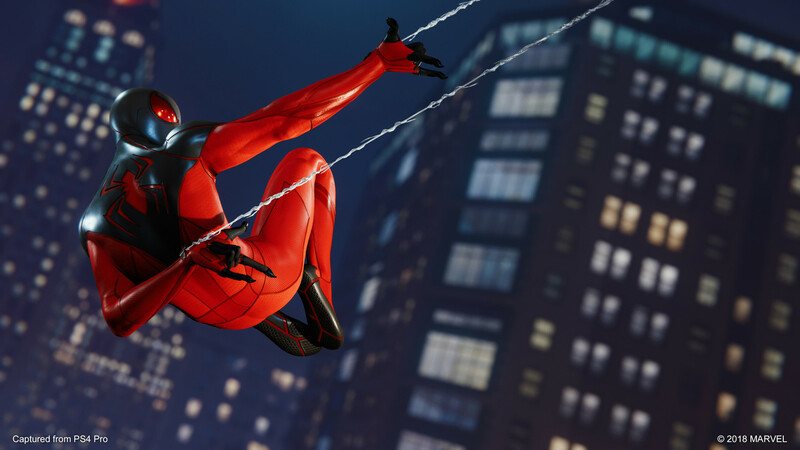 If only to spend a few more hours in the superb Spider-Man world Insomniac has crafted. Spider-Man: The Heist feels like a condensed version of the main game. The new story is immediately intriguing and Black Cat makes for a wonderful addition to the cast. If you enjoyed Spider-Man at launch, you need to check out 'The Heist'. Ups Black Cat and Spider-Man interactions are a fun new twist. Gameplay still feels perfect. More of the same Spider-Man. Downs Strange DLC integration. More of the same Spider-Man. Screwball is insufferable. Story ends a bit abruptly.